I always start at Camp Floyd State Park in Fairfield whenever I begin an adventure on the Pony Express Trail through Tooele County. 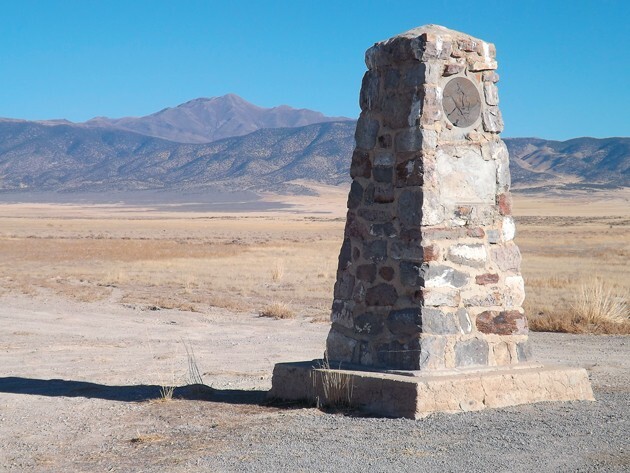 The officers and soldiers who were stationed there launched far-ranging expeditions along the trail to keep Pony Express riders, station men, emigrants and the Overland Stage safe from marauding American Indians or bandits who would ambush and rob travelers in the desert and mountains. To reach Camp Floyd, follow SR-36 southbound from Tooele through Stockton and five miles later turn left onto SR- 73. Proceed on SR-73 for 20 miles to Fairfield. This was a typical mission for the Calvary out of Camp Floyd and small troops rode hundreds of dusty miles over inhospitable terrain through an unfriendly country. As you cruise west from Camp Floyd on SR-73, consider what it must have been like for a Pony Express Trail Rider to charge through Five Mile Pass or to be a young army officer from back East heading west into the barren desert, guidon flapping in the wind, in search of desperadoes, thieves and Indians. 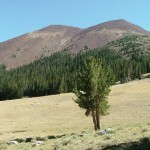 After leaving Camp Floyd, the first place of interest is Five Mile Pass. This so-called pass is nothing more than a marginally elevated plain that separates the Oquirrh Mountains to the north from the Thorpe Hills to the south. Before you arrive at the pass, notice the stunning views of the Oquirrh Mountains, with 10,626-foot-high Flat Top Mountain at the head of Pole Canyon, which is seen from the highway and Camp Floyd area. I consider the travelers who must have gazed upon that mountain with wonder as they passed by. 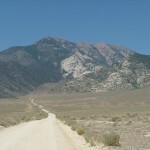 As you approach Five Mile Pass, you may notice an old railroad grade. This was the Salt Lake and Western Railway line that operated from 1881-1889. Some significant engineering went into the construction of this old line, with its raised fills that have tiny but solid stone culverts in their bases to let water pass underneath. Unfortunately, these historical signatures have suffered greatly at the hands of motorcyclists who have found the railroad causeways useful for trails and tricks, chewing up and eroding the structures in the process. As you continue through Five Mile Pass, notice the trailhead/staging areas for the Bureau Of Land Management’s Five Mile Pass Off Highway Vehicle Area. 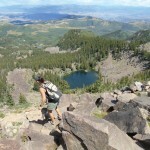 The area is popular with Wasatch Front residents. On any given day, you can see dozens of dirt bikes, four wheelers and side-by-sides cruising all over the hills in this area. To the south are the juniper- covered Thorpe Hills, which can be fun to explore on foot if time allows. Immediately after Five Mile Pass, you will see a sign announcing the Pony Express Trail. Turn left onto the trail, then take a moment to pull over and look at an information kiosk installed by the Tooele County Trails Committee. The kiosk gives a little history about the Pony Express Trail and it also informs about the Prospector OHV Backway Complex, which consists of over 800 miles of gravel roads and two-track trails that link together and form one of the largest OHV trail systems in the United States. 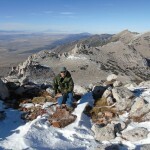 There are great maps available online at the Tooele County Trails website http://www.tooelecountytrails.com and you can also pick up a hard copy of the trail map at the Silver Sage Cafe in Vernon. Take a moment to study the information on the kiosk and then continue west along the Pony Express Trail. You will notice the pavement ends after the kiosk and the sky seems a bit larger as you head into the sagebrush across Rush Valley. You are now on the Pony Express National Historic Trail. In approximately 6 miles, you will come to the first Pony Express Station Site west of Camp Floyd called Rush Valley Station. You may have admired the impressive stone station marker at Camp Floyd and here you will encounter another. These markers were placed on the desert in 1940 by the Civilian Conservation Corps after much preliminary work was done by the Utah Pioneer Trails & Landmarks Association, which at that time was led by George Albert Smith. Dr. Walter M. Stookey, Howard R. Driggs and many other notable individuals led a large caravan west out of Salt Lake City on Aug. 23, 1940, to dedicate eight monuments on the desert at the former station sites. The monuments were from 10-15 feet tall and made of stones carefully selected by the CCC boys for the purpose. Some people claim the stones in the monuments were taken from the remains of stations at the sites. The CCC men also improved the trail from Camp Floyd to Ibapah, making travel along the route more feasible. These old monuments still remain at the station sites in the desert. Unfortunately, vandals like to deface, damage and shoot at these relics that are now historical artifacts. The BLM, which is responsible for the care of the markers, has a heck of a time keeping them intact due to constant vandalism. Fortunately, the Sons of Utah Pioneers regularly travels the route and report on the conditions of the monuments and are now working with the BLM to ensure they are cared for and maintained so our history is not lost to vandals or the desert. In next week’s article, we will take a closer look at Rush Valley and become acquainted with several famous travelers who kept journals of their travels across the county’s West Desert during the time of the Pony Express Trail.